Through continuing Pre-Development and associated economic development activities CDCRC has partnered with the Ohio Community Development Finance Fund in an effort to resource a focal point for families, businesses and agencies to attain financial literacy services and other developmental skills. The master plan expands from our proven programs. 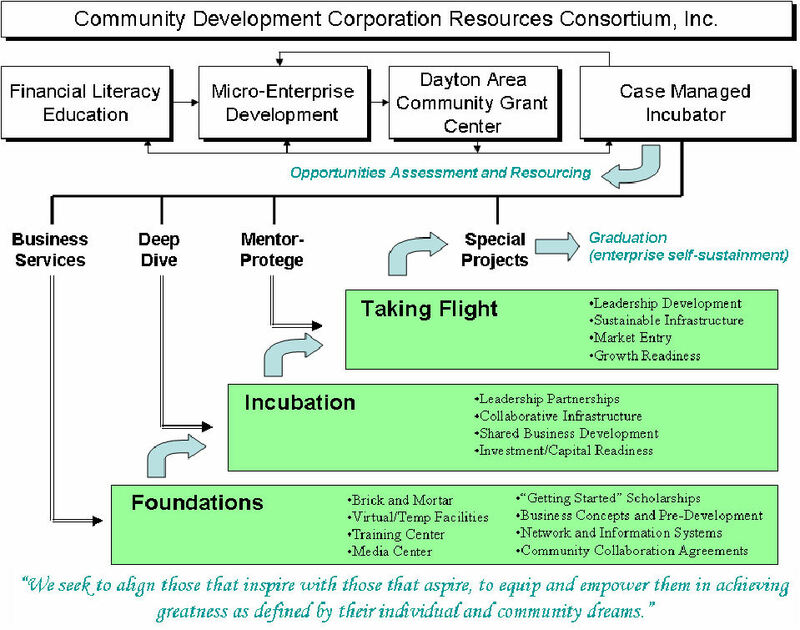 The ultimate objective is to implement a multi-phase strategy that we now call the “Wealth Training Center” located in a Dayton Empowerment Zone. 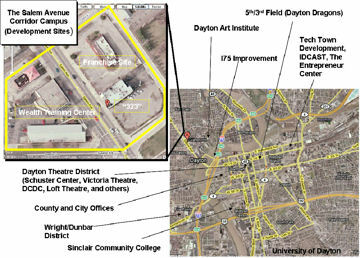 Do you need an operating location well placed as a corridor with Downtown Dayton? Our Phase I is the North River Development Project and involves rehabilitation and some limited new construction (retail space build-out) of an in-place three level 12,000 square feet multi-use building at 323 Salem Avenue. Supporting the overall project, an existing business venture (North River Coffee House) housed in the building already has a two-year track record in servicing the community. 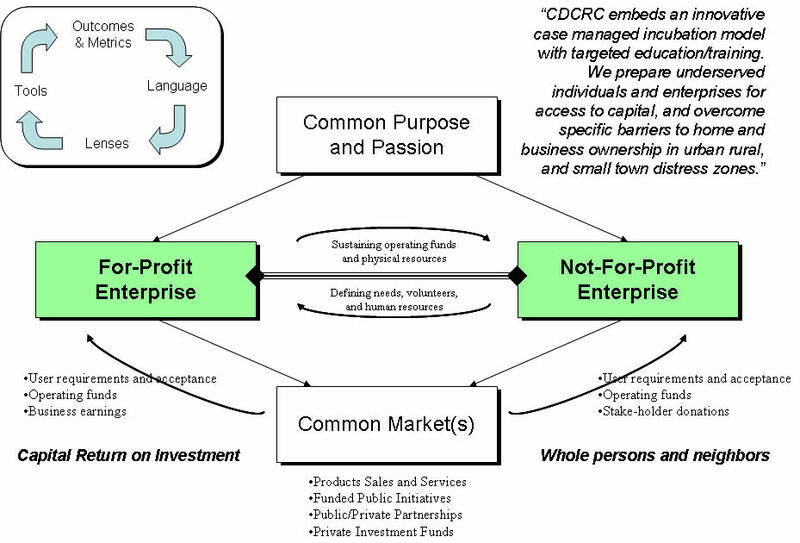 Furthermore, we will continue to house multiple non-profit ventures: including the CDCRC and its three (3) divisions; the CDCRC Incubator, the Wright Path Corporation, and Christian Motivation Counseling. The primary function will remain professional offices and retail businesses so there are no zoning or re-purposing changes anticipated. Once construction/rehabilitation at the 323 Salem Avenue site is completed there will be space for (10) businesses or agencies beyond the existing anchor business and seven (7) additional tenants. A highly recognized experienced architect has been retained and additional development options are evolving. Here is where our need for your help comes in! WE HAVE AN OPPORTUNITY to amplify related State and Federal investments in order to accelerate benefits expand participation, accelerate business starts and growth, and increase the rate of creating sustainable wealth in our underserved communities.